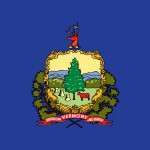 Vermont Poker – Is Online Poker Legal in Vermont? All poker options are illegal in Vermont, with the exception of one. But it isn’t due to a lack of trying. Each year since 2011 someone has tabled a bill that would allow for one brick and mortar casino in Vermont. But every year the bill fails. There are no tribal or commercial casinos in the state that might have better incentive to build something like that either. And it doesn’t look like things are going to change in the near future. Most states would follow this bit with an exception for ‘social’ poker games. But not Vermont – which, by default, makes it illegal. I’ve not heard one way or the other as to how aggressive they are about busting home games. So, you might be able to get away with it if you keep it private, quiet and don’t charge anyone (at a profit) to play. Online poker is illegal here in Vermont – and there are no plans on changing that any time soon. You can, however, play at offshore sites, but you do so at your own risk and of course at the risk of breaking state laws. Nope, sorry. There are no casinos in Vermont, thus there are no live poker games. I haven’t seen any online. But what I have come across are poker leagues, such as the Vermont Poker Classic and Catamount Poker. What I find odd is, despite what I read and interpret as the laws, they accept money (for the buy-in) and payout prizes. Yet there’s no mention of any money going to charity. Odd, right? They both have been around for a while – at least a couple years. But I would still do your due diligence before signing up to play. But between the two of them (and there may be others) there are opportunities to play poker every month. So, they might be worth checking out. Is the Future Any Brighter? Experts think we’ll see legislation within the next couple of years. But it’s pretty clear where Vermont stands according to the aforementioned statutes I quoted earlier in the article. What’s more is there have been bills in the past, but they all flopped. It doesn’t sound like there’s anything on the docket to discuss, either. Really, the only way I see Vermont changing their minds is when all the surrounding states decide to regulate online gambling. Vermont residents will flock to those states (or already do for live gambling) causing the state to miss out on millions of dollars in revenue. Then, and only then, do I think Vermont will change their minds.